Der nächste Club Drechsler mit der Wiener Groove-Allstar--Combo "60 Minits of Funk". Dazu an den Plattentellern die Bujaka DJ Line unterstützt von Lorenz Raab (Trompete) & Oliver Steger (Kontrabass). 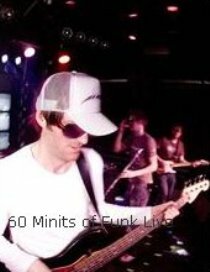 "60 minits of funk is a collective of creative, laid-back musicians, already well-known in the viennese music scene. The passion for live performances and improvised edgy live sessions resulted in a new imprint of the typical funk sessions. Make it 40, 60 or 80 minits of funk – the fusion of future boogie, turntablism, funk and jazz makes every concert a unique ‘groove-edge’ experience. The keysection is well staffed with BiONiCKiD, vienna’s bird of paradise, if it comes to musical styles and sources. always on the go, he is part of the Viennese nu-jazz band ‘Forms of Plasticity’, taking care of music and managment of the infamous ’Waxolutionists’ and ‘CiRCUS’, well known as BNCKD, he plays minimal and electrohouse sessions as well as organizing events in Vienna since 1999. Johannes Specht is the man behind the guitar, jazz & funk expert per excellence and member of plenty projects like ‘Forms of Plasticity’, ‘Ordinary World’, ‘Lonely Rita’ and many others. The freelance musician is currently living in Los Angeles. Untypical for jazz outfits is the turntable section, well waxolutionists & co took care of this missing link since ages. Chris Fader is the man behind the decks, part of the tyrolean Dj Team ‘Ghostbusters’, ITF austrian champion. He´s a rare, musically engaged turntable artist, living in vienna and playing with 60minits since 2007.